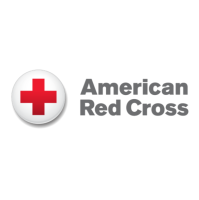 Cincinnati- September 27, 2018 – As they have many times before, the Kroger Family of Companies is providing generous support to the American Red Cross disaster relief efforts. Kroger has donated four truck load of bottled water, one truck load of snacks, and $50,000 so far, to assist the Red Cross in providing help to those affected by Florence. Kroger also set up a microsite on their website to collect donations, and established customer donation programs in many states. "We are thankful for this opportunity to work with the American Red Cross to lend a helping hand," said Sunny Reelhorn Parr, Kroger Foundation Officer, in a statement. "Kroger customers and associates have a history of giving during times of disasters such as these." More than a week after landfall, flooding continues in the Carolinas. The Red Cross, with the support of partners like Kroger, is working around the clock to provide shelter, food, comfort and other emergency support to the victims of Florence.